New for 2011 is our exhilarating Artistic Creations Line. 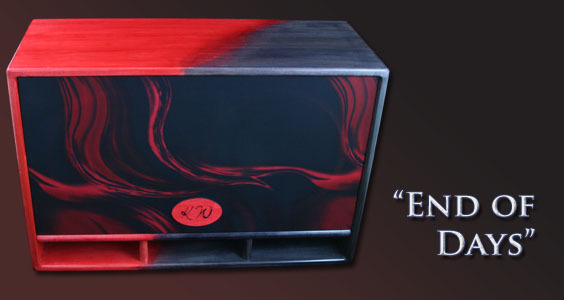 Available for the ST-2 model only, these are crafted from Poplar and have all of the same features as our regular ST-2 cabinets, but offer exotic stain patterns and exciting grill cloths. Each named model will be available on a limited edition basis, and will offer a variety of abstract but elegant motifs, all designed to evoke a certain response.